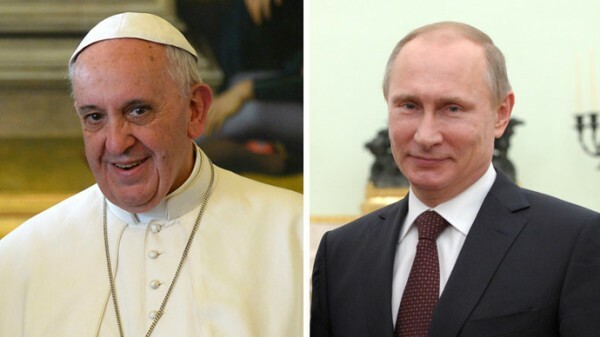 Moscow, June 9, Interfax - At their meeting in the Vatican on June 10, Russian President Vladimir Putin and Pope Francis are expected to discuss possible future contacts, but it remains unknown whether the pontiff's possible visit to Moscow will be discussed, the Russian leader's aide Yury Ushakov told reporters. “I think that they will discuss possible further contacts,” he said. However, Ushakov declined to say whether or not Putin would invite Pope Francis to visit Moscow. “This issue concerns not only the state,” but also the Russian Orthodox Church, he added.